Empowering your help desk technicians with a remote support software is essential. Give them the right one. Knock out more tickets in a day. Resolving customer requests faster helps support technicians close more tickets. 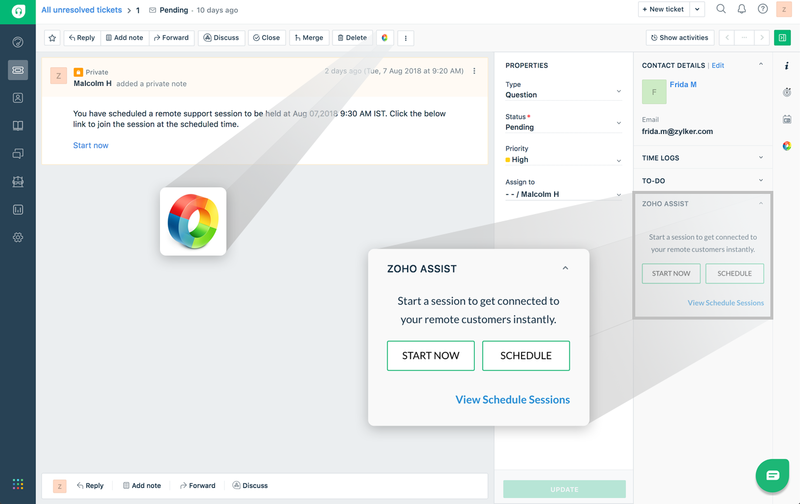 With Zoho Assist, you can transfer files, navigate between multiple monitors connected to the remote computer, chat with your customer, invite technicians, and much more. Make light work of your Freshdesk tickets. When one click gives you access to a remote computer, it saves time and a lot of headache. With Zoho Assist's integration with Freshdesk, resolve nagging tickets by accessing the remote computer in one step. Initiate an instant remote support session right from your tickets or schedule one for later. Keep your organization in the loop. Some issues require multiple remote support sessions, and if each session has a different technician working on it, that's bound to cause problems. 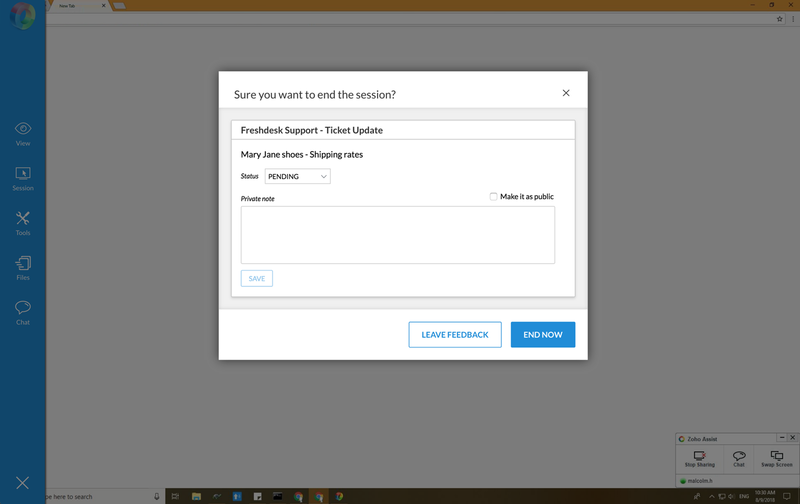 With Zoho Assist, you can update ticket status at the end of each session, and add a note to sum up the remote support session to keep other technicians in the loop. Why choose Zoho Assist integration in Freshdesk?